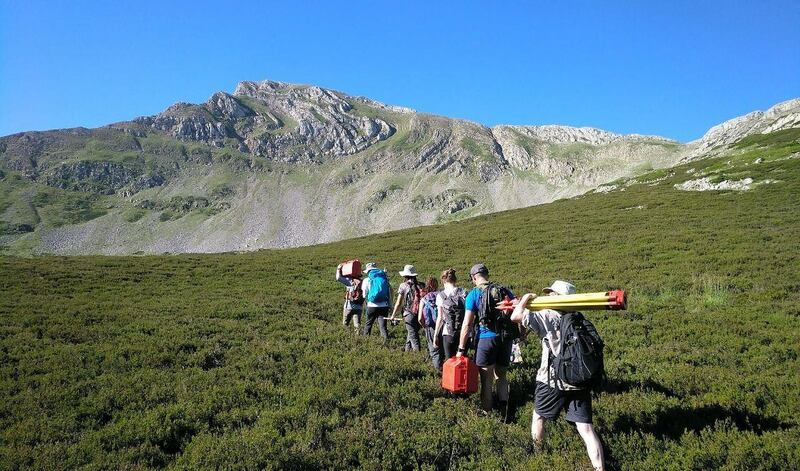 This is the second year this international team is exploring the high altitude pastures of La Cueta and Torre de Babia villages, in the municipality of Cabrillanes, as part of the post-doctoral project “Upland Archaeology in the NW of Iberia” coordinated by David. The aim of this initiative is to study the historical genealogy of the Altimontane landscapes of these mountains, and to analyse the social and cultural framework of the interaction between human communities and their surroundings over the various millennia between the extension of the Neolithic and the present day. 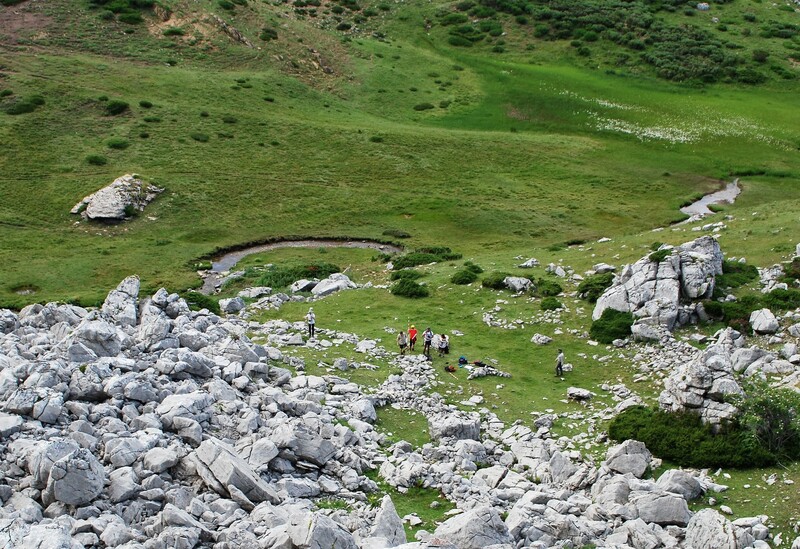 Supported by the León Provincial Council, the Town Council of Cabrillanes, the Department of Archaeology of Durham University and the Institute of Heritage Sciences (Incipit) of the CSIC, this campaign focuses on the environment of the Las Verdes lagoon and the sources of the river Sil. After the first two days of fieldwork, the prospects could not be better. The surroundings of Las Verdes lagoon are home to a number of interesting structures that will help us to reveal the history of grazing in these mountains. In addition to numerous recent pastoral structures, some remains may be related to the first shepherds who began the anthropization of these alpine and subalpine areas in recent prehistoric times. In the next few weeks, we will carry out some exploratory trenches here to clarify the chronology and functionality of these elements. The survey has also made it possible to identify some sites with great potential for geophysical exploration at the River Sil headwaters. 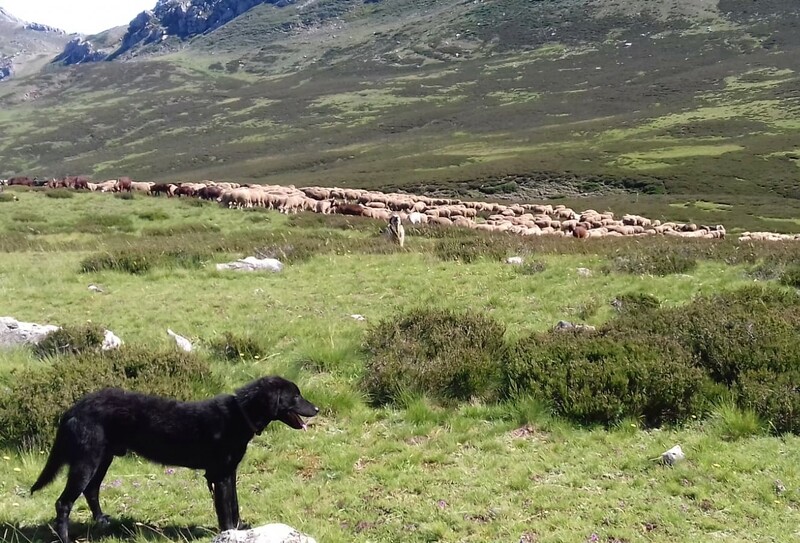 The merino herds still go up to the ports of Babia guided by shepherds, as they have done for centuries. In the next few days, the work will continue and it will certainly serve to complete the biography of the pastoral landscapes of the western part of the Cantabrian Mountains. Through the project’s social networking profiles on Facebook and Twitter, you can keep up to date with the latest developments.